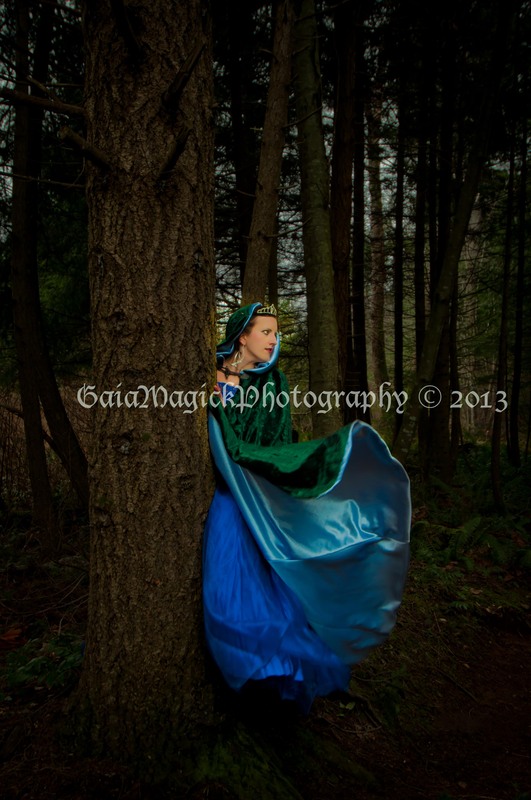 Sleeping beauty came to the Comox Valley! 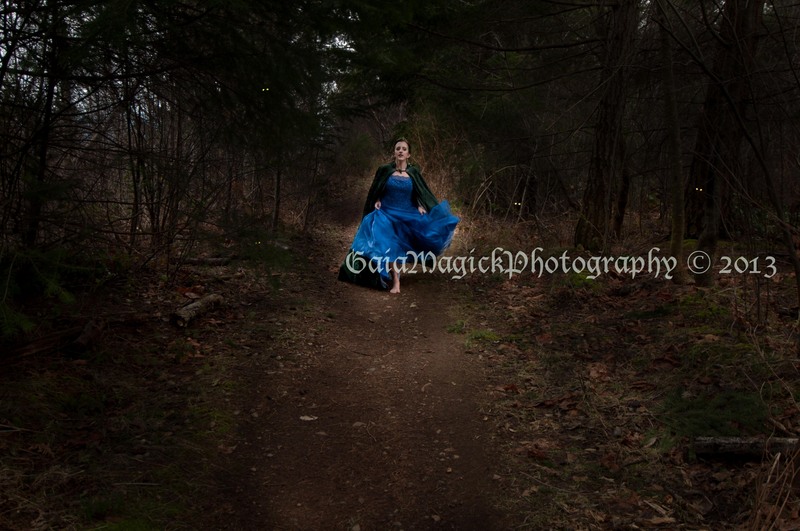 This was intentionally a session planned around wrecking a grad dress using the theme of a princess running through the woods to escape from monsters. 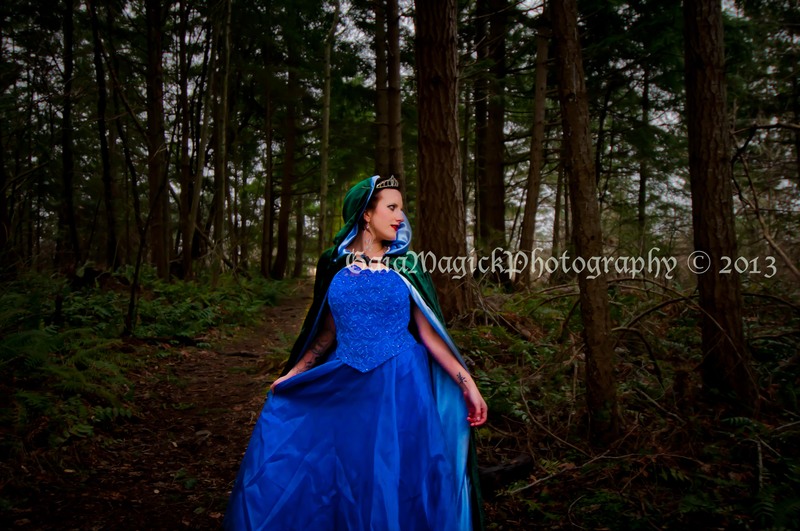 While we stuck with the theme and tried our darnedest to do things that would tear at her dress, I’m rather glad we were unsuccessful as it will mean we can have another session when the weather warms up to properly wreck the dress! With it being a cloudy February day we were awfully glad that it wasn’t raining as we headed out for the shoot. What we were unprepared for was the sudden unexpected drop in temperature half way through the shoot. Boy did it get cold! I want to thank Cheryl for being such a good sport in the cold, I know running around barefoot on the cold damp trails wasn’t what she bargained for. But I least I made that cloak real thick and heavy so she wasn’t a popsicle by the end of the session. And thanks to my lovely assistant for being the best helper, and for buying the hot chocolate after the session so we could all defrost our fingers! Here are a few more images from the session. I added Spooky creepy eyes to this one! How many pairs can you see? I swear Cheryl looks like snow white in this image. The colours for her clothing are wrong but it still screams Snow White in the woods every time I see it. Love the movement and feel this one has. Cheryl is a great model to work with, easy going and good natured and up to most anything…except perhaps climbing up trees… but I’ll get her up one in this gown eventually! 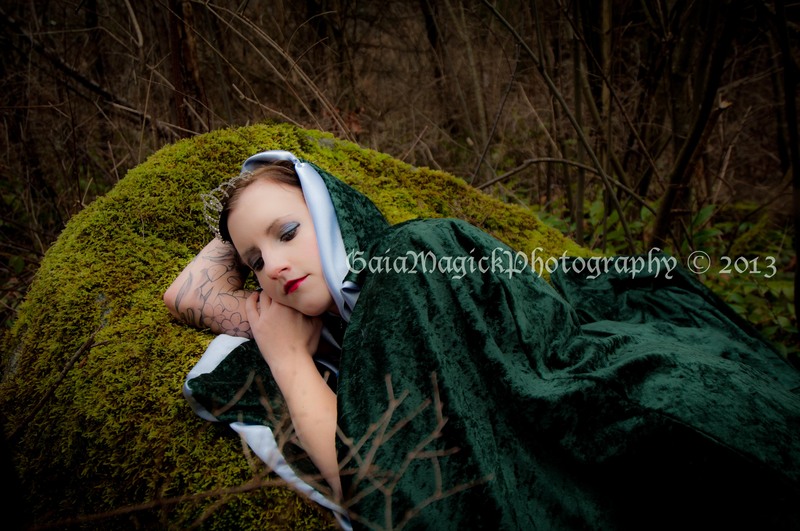 Looking forward to the session we as planning for when the weather is warm enough to truly run around and destroy her dress with out getting frostbite! Coming up is a new session with the holiday string lights. I’ve got the client who won the free session on my birthday, last October, and we are going major bling. Can’t wait to capture her sparkle! And speaking of sparkle, I’m putting together a model shoot with at least two girls who will be dancing in glitter rain, throwing glitter snow balls, and blowing glitter at each other. Basically these girls will be glitterified (I’m pretty sure I just made up that word!). It’s going to be sparkly and messy and I can’t wait! Just got to stock up on the sparkles, glitter, and confetti.